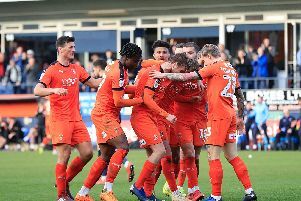 Doncaster boss Grant McCann expects Luton to reach the Championship 'quite comfortably' after watching them dismantle his play-off chasing side 4-0 at Kenilworth Road on Saturday. 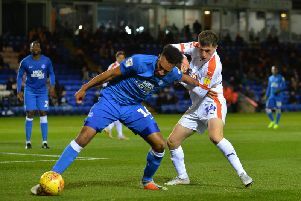 The Rovers chief had to watch on powerlessly from the dug out as Town produced a magnificent performance in hammering their opponents and making it 26 Football League games unbeaten. Speaking afterwards, McCann, who saw his team slip out of the top six, said: "We were miles off the pace all game really, from minute one we were on the back foot, we were second best all over the field. "Luton are a top, top side and they’ll reach the Championship quite comfortably, but we were absolutely nowhere near it. “They’re a good team but we made it easy for them. “We were absolutely nowhere near them. That performance was not acceptable and I've said that to the group. “I'm not here to finish 15th or 16th in the league. If anyone's thinking like that they won't be here next season. “I'm here to finish in the top six. That's my firm focus. I was disappointed with the lack of energy, lack of appetite and lack of aggression in my team. “We couldn't cope with Pelly-Ruddock running the game and we got disjointed. “I wasn’t happy with the way we lacked a hunger and a desire to go out and get a result here. "We had to change shape in the second half, they ran the midfield and we became disjointed.